We bring you an opportunity to order the complete basic range of your charts and horoscopes that an Astrologer would use as tools to predict and time the events that are going to take place in your life. An attractively packaged graphic representation of the planets that rule your horoscope will be delivered to your doorstep. 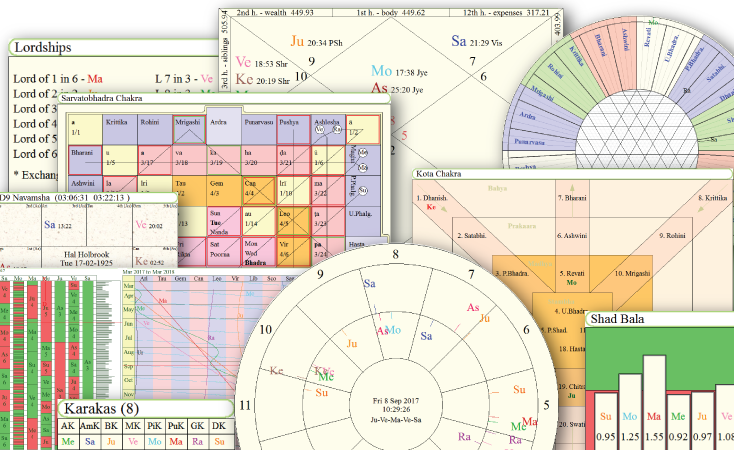 All reports are printed by Parashara's Light - The Ultimate Vedic Astrology Software. The Reports feature an elegantly designed folder in 300 gsm paper. These come to you in laser jet printing on 100 gsm Executive Bond paper .